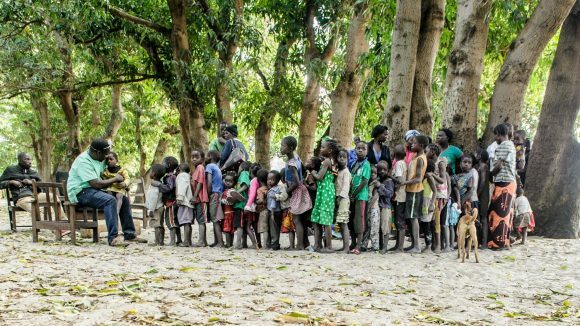 In Zambia, where trachoma is rife, many patients live in hard-to-reach areas and are unable to visit a hospital or clinic to receive the sight-saving treatment they need. 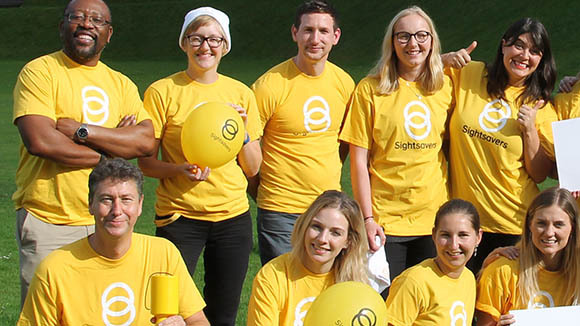 So volunteers from local communities travel around the country looking for people with trachoma, then report back once possible cases are found. The outreach team can then take antibiotics to areas where they are needed the most. 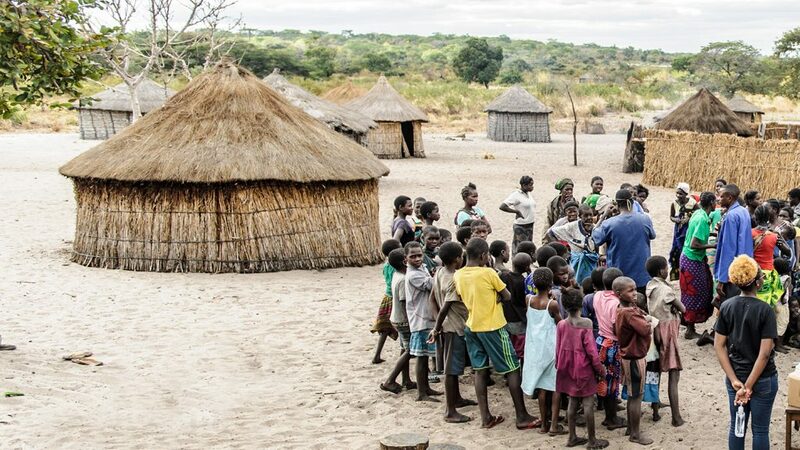 During my visit to Zambia, I accompanied a Sightsavers outreach team during their trip to a small, remote settlement called Lui River. After an hour-long drive from Senanga, our drivers veered off to follow a barely visible sandy track: we followed it for 30km through the bush and across the edges of the Zambezi flood plain. After driving through extremely bumpy, sandy terrain for almost two hours, we finally arrived. Lui River Village was as beautiful as it was isolated, overlooking the wide sand flood plain; thatched straw buildings built from wood, mud and animal dung were dotted around the village. As the team got out the car, children and families ran over – the village elder said everyone had been looking forward to their arrival. The children gathered around so their eyes could be checked, and we immediately noticed a 10-year-old boy named Kapalu: he was a tiny child, dressed in ragged clothes. His eyes were extremely red and weepy, he was continually wincing and his eyes never fully opened. He looked as if he was in a lot of pain. It didn’t take the team long to work out that Kapalu had trachoma. Sadly, Kapalu’s eye problems had stopped him getting an education: he had been enrolled in school and attended grade one, but the pain in his eyes forced him to drop out two years ago. Since then, his eyes – and the pain – had got worse. 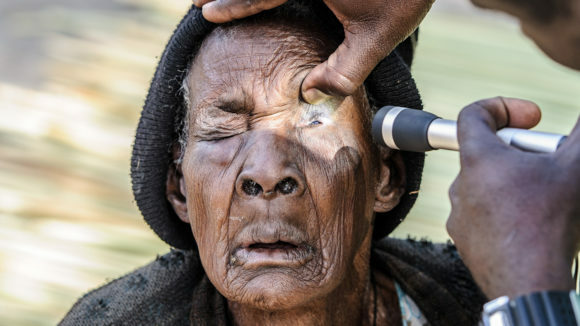 Kapalu’s grandfather, Likwathi, said he hadn’t known why his grandson’s eyes were sore – he had never heard of trachoma. He said he’d taken Kapalu to the local health centre a few years ago, but the centre was basic, staffed by two nurses, and they didn’t have the specialist knowledge needed to treat him. Senanga District Hospital was about a three-hour drive away, meaning it was too far to walk. If it wasn’t for Sightsavers’ outreach programme, there would be no eye care at all in this region. Likwathi had been worried about Kapalu’s eyesight for some time. He desperately wanted him to be in good health so he could help out at home, fetching water and firewood – Likwathi was getting older, so wanted to be able to rely on his grandson to help the family. But Kapalu’s eyes were often itchy and tearful, and when they were particularly bad he couldn’t even get out of bed. 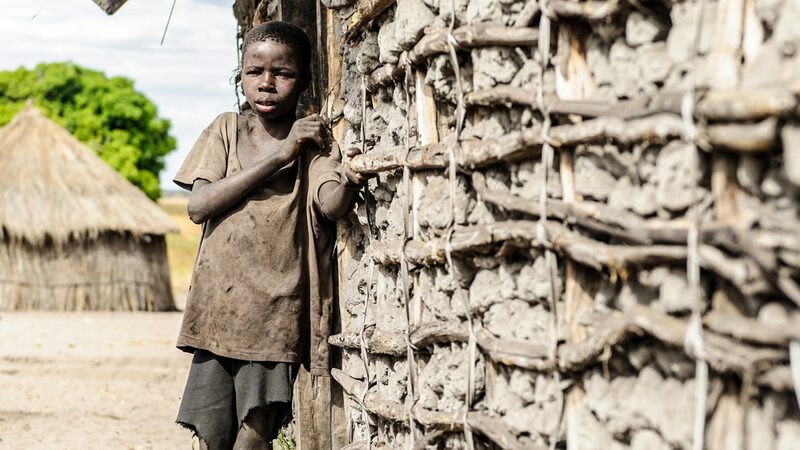 This put his family in a difficult situation: rather than being able to collect food or earn a living, they had to stay home and look after him. 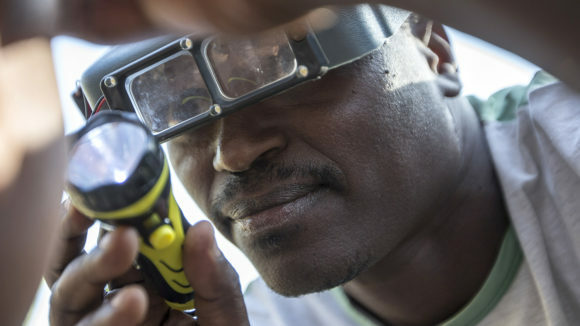 Fortunately for Kapalu and his family, ophthalmic surgeon Mr Ndalela was able to diagnose and treat him before his sight was permanently lost. 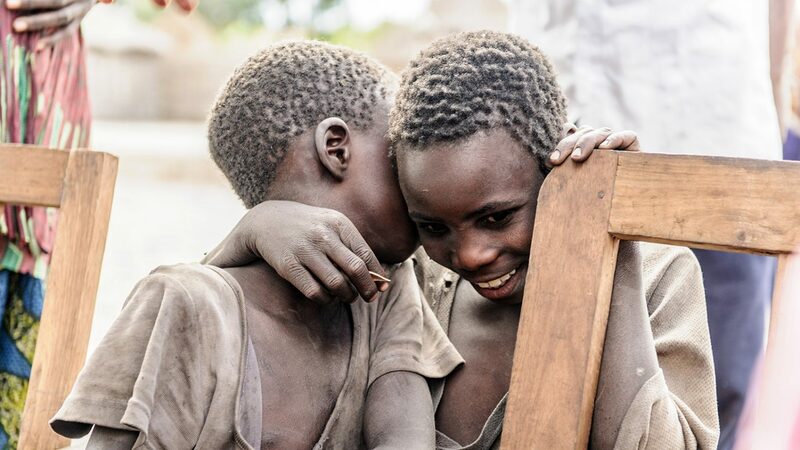 Kapalu was given a dose of antibiotics and was taught about the importance of washing his face to stop the infection returning – a message that Mr Ndalela shared with the whole village. 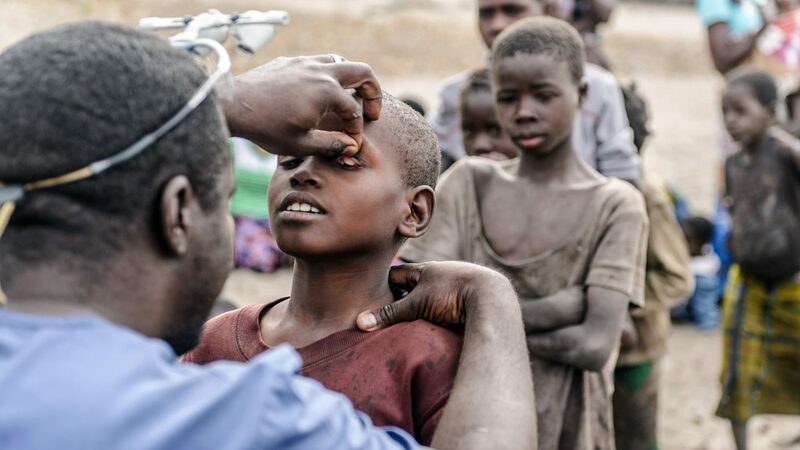 Facial cleanliness is one of the most important ways to prevent trachoma, and is a key part of the SAFE strategy (surgery, antibiotics, face washing and environmental improvements) used to combat the disease. People from Lui River smile and wave at the camera. The work of the outreach teams means communities such as Lui River are able to be treated and protected against trachoma. 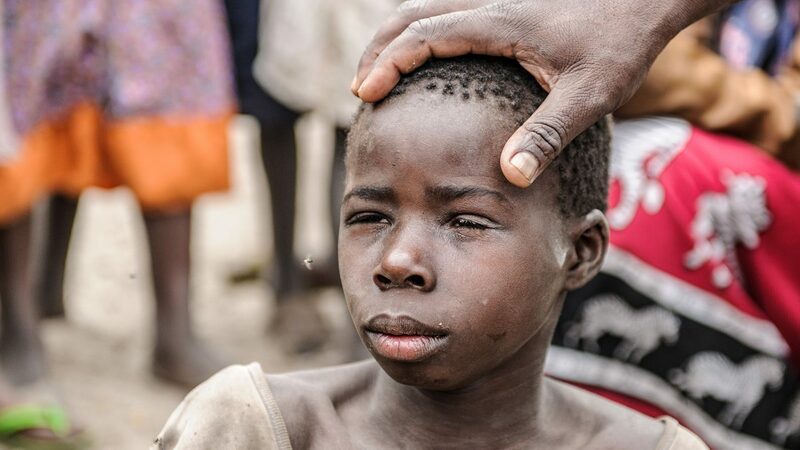 Namakau, from Zambia, has had trachoma for decades and is now irreversibly blind. A fear of modern medicine had stopped her from seeking treatment.